Very Elegant Designers Earrrings made with 18k White Gold, 0,246ct. Brilliants and a 10 mm. chocolate coloured Pearl. 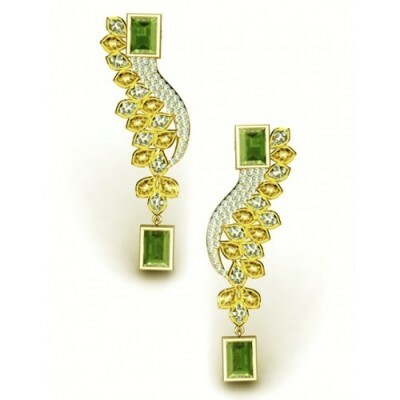 This is a dazzling set of earrings that is made of 18K gold. It has 2 Olivines on its top and bottom part, measuring5x7mm. It has a total of an amazing amount of 200 brilliants with 2.45ct total quality H-VS. It also has a combination of blue and brown topaz which are cut into a flower petal design. It gives you a fresh look that would match any outfit you wear. 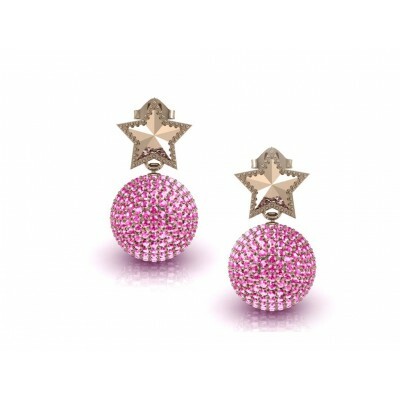 An original Star With Globe-shaped Pink Quartz Gold Earrings that will certainly fit just about any fashion outfit. 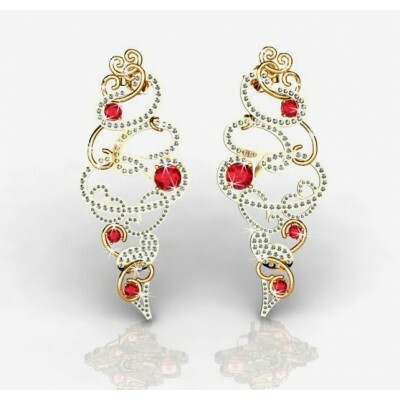 Make yourself look like a star while wearing this 18k Gold earrings with Diamonds and Ruby. It has a total quality of 3.01CT HVS. It has a perfect design of 8 beautiful round Rubies that are secured by 4 claws. Wear this at the party and you will surely see others looking at you in admiration! 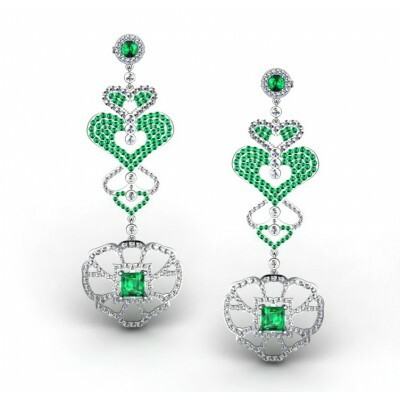 Wonderful earrings made of 18K white gold with pear-shaped emeralds, 5x7mm in size and surrounded with brilliants. On top, there are 2 diamonds 4.5mm in size with a total quality of 0.70ct H-VS. Below, there are 2 more diamonds 2.5mm in size. 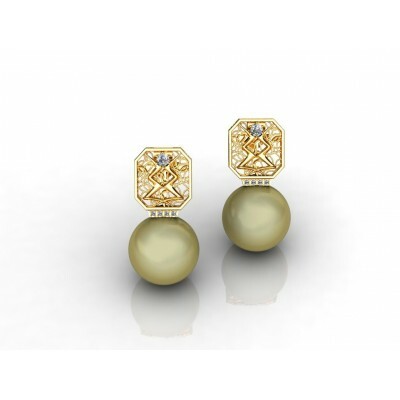 Furthermore, 156 brilliants with a total of 2.07ct quality HVS and 6 lovely pearls. 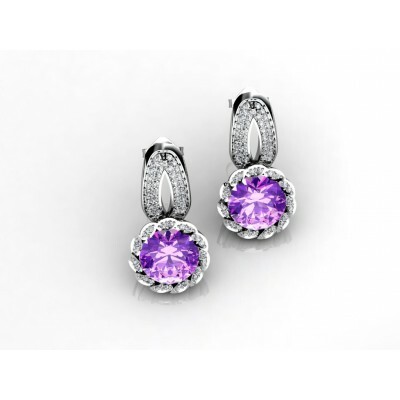 This earrings can be a part of your collection. It is made of 18K white gold on a heart shape. 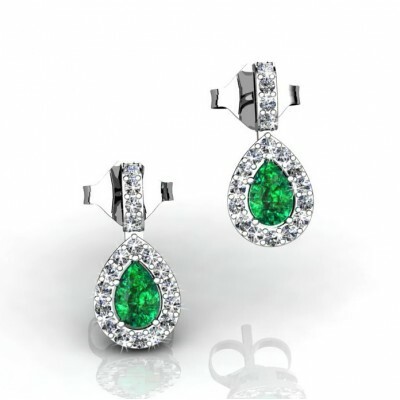 On top, you will see the 2 rounded emeralds, 4mm in size that are surrounded by 1mm sized brilliants. On the lower part, there are 2 princess emeralds in size 6.5x6.5mm. Furthermore, 175 emeralds and 297 brilliants with a total of 3.62ct Quality H-VS. Indeed, truly elegant, glamorous earrings. 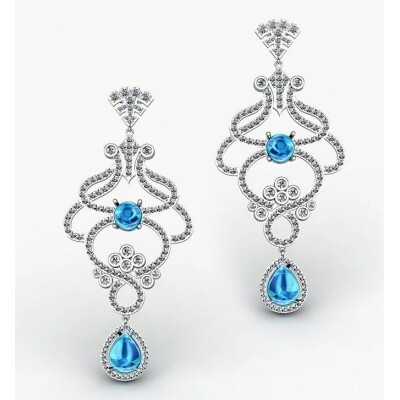 Gorgeous earrings with blue topaz are made of 18K white gold. It has two round-shaped blue topaz at the top and 2 pear-shaped topaz at the bottom part. 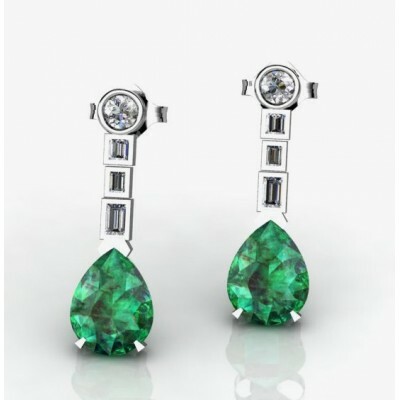 There are 304 brilliants with a total quality of 4.66ct H-VS.
Lovely classical earrings, made of 18K white gold with a big central emerald in pear shape and 4x6mm in size. Aroung the central emerals lots of brilliants 1.5mm in size, with a total quality of 0.522ct. 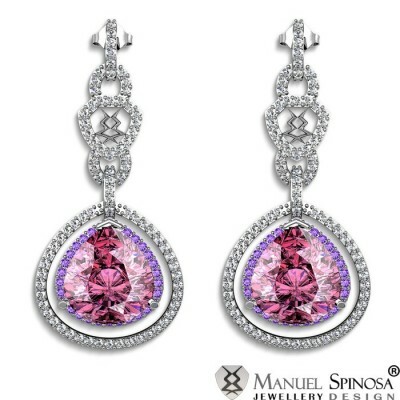 A classic and a very elegant design from Manuel Spinosa collection. 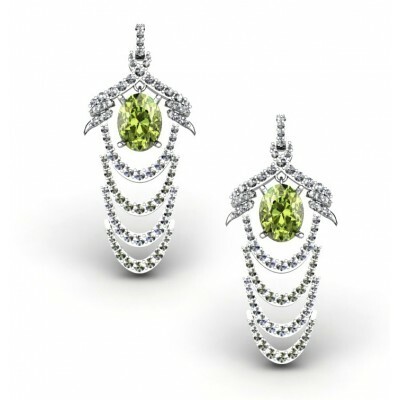 These are elegant long earrings that are made of 18K white gold. 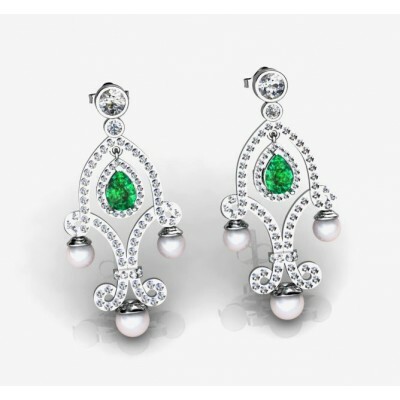 These designer earrings have 2 oval shaped olivines, measuring 8.5 X 11mm size. This is in 5cm length which is just ideal for any styling needs. 18k White Gold Earrings with 10mm Rose Quartz and decorated with 106 Brilliants with a weight of 1,224ct, quality Hvs.